At our flooring store, we cater to the pet owner that wants to combine the beauty of carpeting, hardwood, and laminate floors with the protection delivered by pet-friendly flooring. As your best choice for a local source of the flooring you need, let us find you durable floors that can stand up to your dogs and cats. We help you protect the floors of your biggest investment—your home! Choose from soft and plush stain-resistant carpet or hardwood sealed flooring for every room in your home. We have affordable options at many price points, so you can have the best of both worlds when you want east of use and practical flooring protection. To the unprofessional and untrained eye, all flooring is the same. However, this is far from the truth. Unsealed laminate or wooden flooring are not optimal choices for any home with pets. Spilled water can easily ruin untreated flooring with stains and marks, so imagine the damage that an active dog or cat can do to this type of flooring! With our sealed flooring, you can rest assured that your floors are protected from pet accidents and scratches. Because the flooring is sealed and treated with specially formulated chemicals, you won't have to worry about pets making a permanent mess of things in your home. Upgrade your floors and improve the appearance of your home with some new carpeting that you know you can trust to resist the toughest stains. At our flooring superstore, you can choose from several different manufacturers of top quality carpet that endures the heaviest pet traffic. When it's time for a change for your floors, you can always count on us for help deciding the best carpet options! Most companies make their stain-resistant carpet from nylon to add toughness and durability to their product. They then treat their rugged carpet material with chemicals that have been made to repel both liquid and dirt. Stop moving furniture to hide stains thanks to our flooring solutions! Don't let the wide range of choices available at our store overwhelm you! Let our experts help you steer clear of mistakes and find the best pet-friendly flooring you need for your home décor, pets, lifestyle, and budget. After you make a purchase, invite our experienced, professional installers into your home for the perfect look and long-lasting appeal. Contact us at <PHONE> for our our flooring company when you want to install pet-friendly flooring in your home. 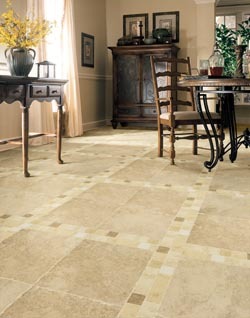 We sell and install sealed flooring and stain-resistant carpet for customers in the communities of Decatur, Forsyth, Mt. Zion, Macon, and Solomon, Illinois.